Once their top pitching prospect and No. 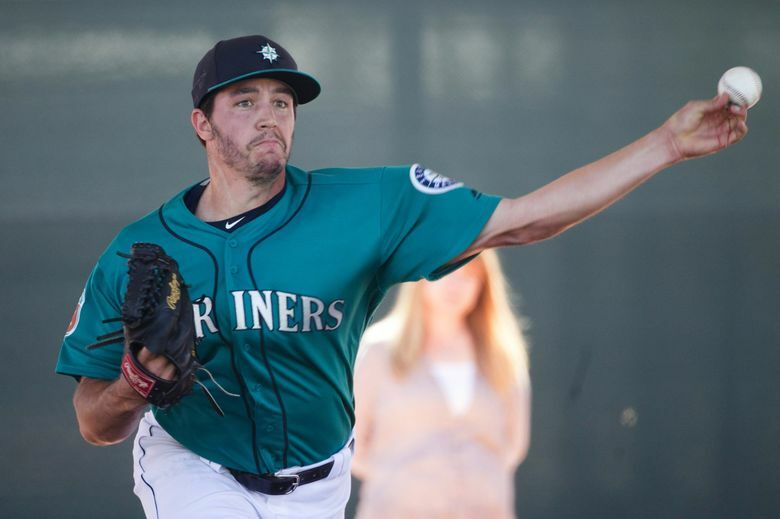 2 overall pick in the 2011 MLB draft, Danny Hultzen became a free agent along with 25 other Mariners' minor leaguers on Tuesday. Despite another reconstructive surgery in July, Hultzen is not retiring from the game. He's planning a comeback in 2018. SCOTTSDALE, Ariz. — Even through the scratchiness of a cell phone connection, the good-natured, upbeat personality of Danny Hultzen is unmistakeable. You can sense him smiling as he’s talking, knowing that’s what he does in most situations even if he’s had plenty of reasons to trend the other way. Once the Mariners’ top pitching prospect and former No. 2 overall pick in the 2011 draft, he’s now a man without a team and a college student again. On Tuesday, Hultzen and 25 other players in the Mariners’ minor league system were granted free agency based on Major League Baseball’s deadline following the end of the season. “As of a few hours ago, I guess I’m now on the open market,” he said chuckling. That list of minor leaguers around baseball, included plenty of once-touted prospects who never quite reached expectations due to injury or poor performance. Few, if any, have endured Hultzen’s cruel career path that seemed part Shakespearean tragedy. But his story isn’t over yet. He is not retiring, despite sources indicating otherwise. He refuses to give up on a game that has saddled him with reason after reason to do so. That sentiment started after Hultzen underwent a second reconstructive shoulder surgery in July. It was the same procedure he underwent in October of 2013, forcing him to miss the entire 2014 season and limiting him in 2015 to just a few starts. “I re-tore my rotator cuff, labrum and capsule again just in different parts of each one,” he said. The injury occurred this spring has he tried to come back as a reliever in hopes of putting less stress on the shoulder. He navigated the early weeks of spring training with no issues and “feeling great.” But immediately following an intense second live batting practice session, Hultzen noticed a problem. “I tried to reach for my keys out of my locker and my arm wouldn’t lift,” he said. The Mariners shut him down immediately. He received a Regnokine injection of spun blood into the shoulder as part of the treatment. He slowly worked his way back to the mound and in games. But on the second pitch of his second rehab appearance in the Arizona Rookie League on June 24, Hultzen felt a pop in his shoulder. Hultzen underwent another MRI, revealing the extensive damage. Dr. James Andrews, who performed the first surgery, did the procedure again and was pleased with the results. The never-ending rehab continues, but not with the Mariners. Hultzen has returned to the University of Virginia where he was an All-American starting pitcher and Academic All-American for the Cavaliers. After getting drafted as a junior, he planned to return and finish his degree in history at some point, though not this soon. The shoulder surgery and a year-long recovery offered that opportunity. He plans to rehab for the 2017 season and go to school and then try again with a willing team in 2018. His daily routine on campus is simple. He holds nothing against the Mariners, who helped nurse him through shoulder issues that sidetracked his once-promising career and remained loyal to him. They’ve even mentioned the possibility of a job with the baseball operations staff if he chooses to step away from the comeback attempt. This was typical baseball decision for a player that reached six years in the minor leagues and wasn’t on the 40-man roster.